Daniel Milnor is Blurb’s Photographer-at-large and inspirational bookmaker. 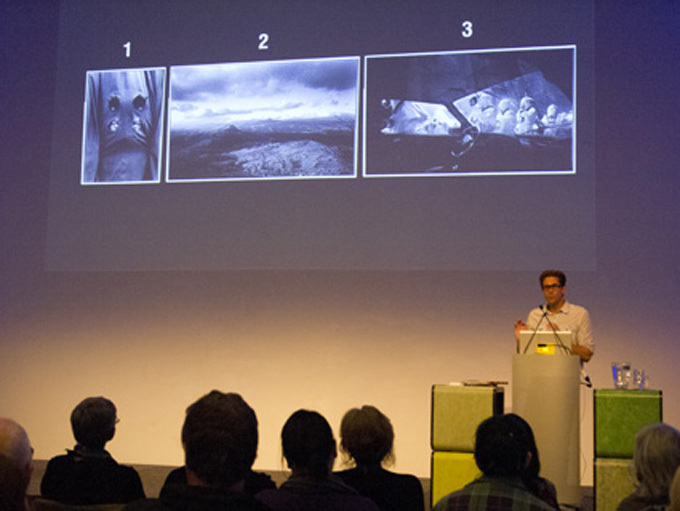 Last week we attended presentation by Daniel at the Edge (SLQ) in Brisbane. 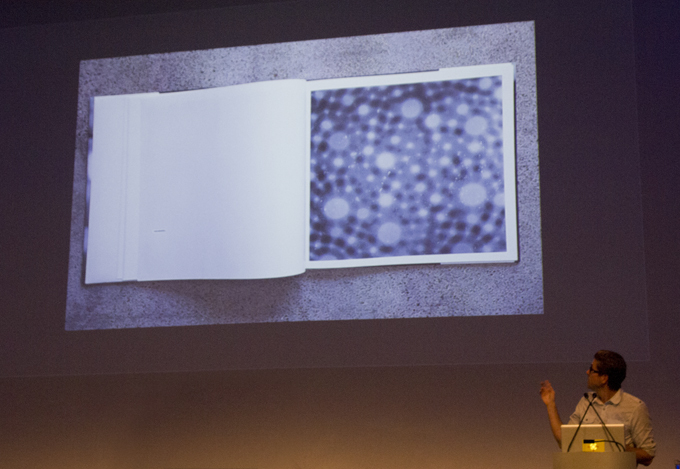 Attended by an audience of around 80 the presentation, of three hours duration, told the story of how to make photobooks. Not just a bunch of photos in a catalogue or folio form but something that told a story – expressing a narrative. 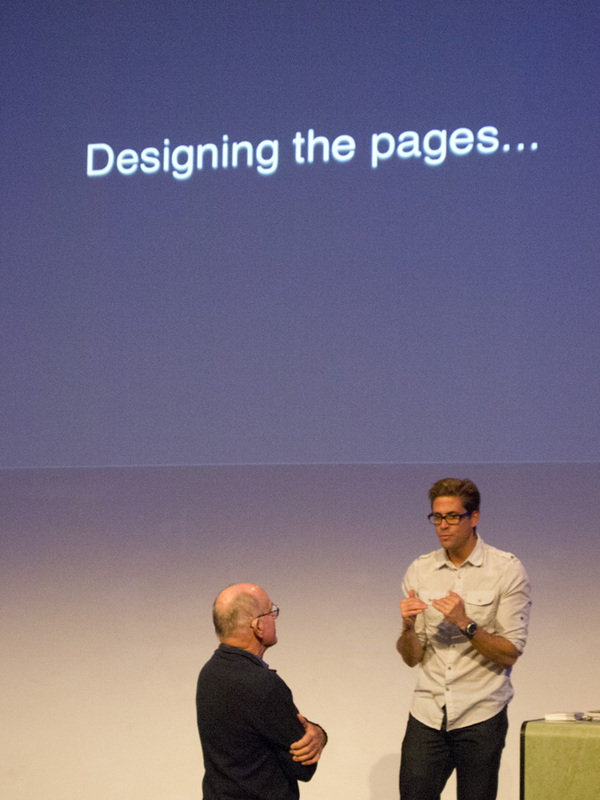 Milnor is the consummate presenter and storyteller – adding to each technical concept and thing to consider in book-making his own personal story. And there were some amazing insights into Daniel’s career as a photodocumentary photographer of exotic places like South America and Sicily, but also of his own life. In one book he discussed, which was made entirely in his own home, he showed a picture of his shower curtain!! Step 4 Start the book using an online POD service – Like Blurb. And – not really covered specifically although constantly part of his refinement of book ideas: Step 6 – Review it and re-do it better!!! What interested me was the excitement he expressed for his own books – their concepts and development. Towards the end of the presentation he showed examples of books created as collaborations with artists, books that were ‘added-to’ by creative intervention whereby the outcome became a unique state work of art. A seminal book for him in his challenge to the ‘normal’ photobook is the book On Approach which has won much acclaim for him. He commented that a curator he had met casually had described him as a ‘conceptual artist’ he seemed excited by the title and that his work, as art, could enter another space – the gallery. Thank you Daniel Milnor, and thank you Blurb for bringing some discussion on photobooks into this country. 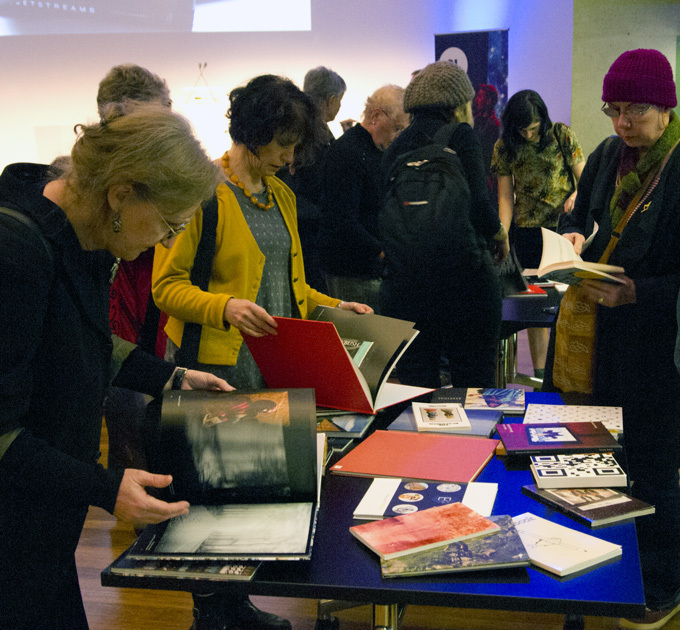 And the opportunity to engage with so many Australian photographers wanting to tell photo stories using the emancipating opportunities of print-on-demand indie publishing.